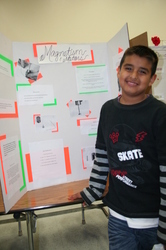 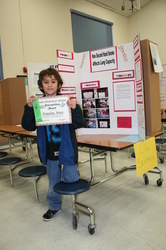 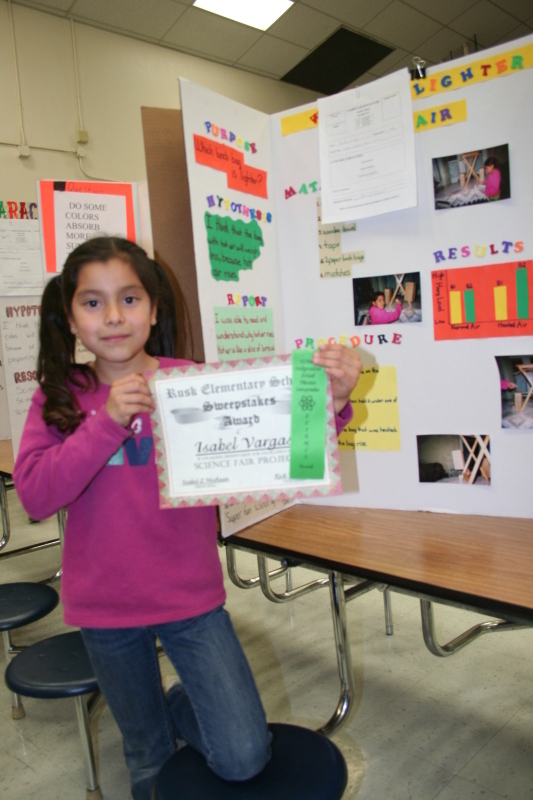 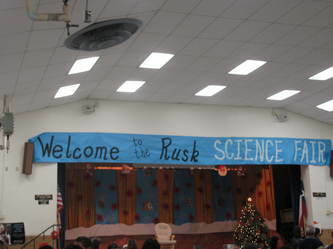 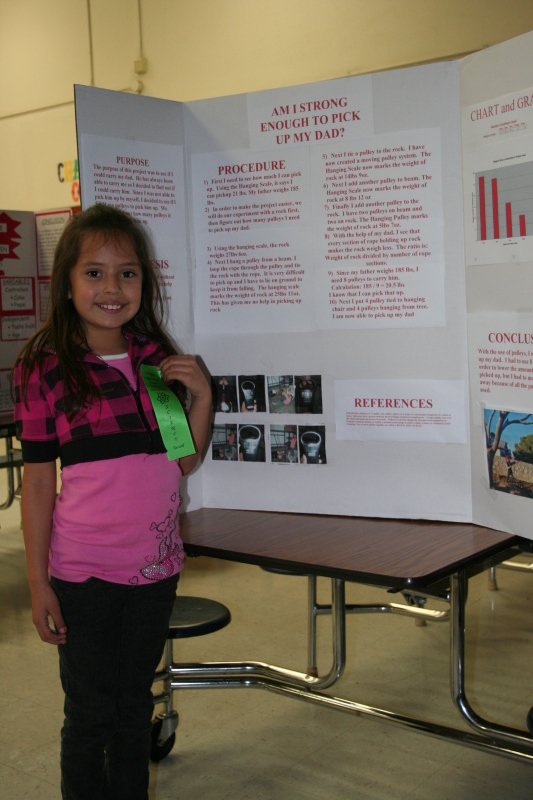 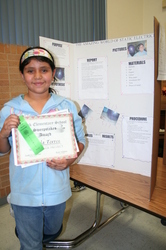 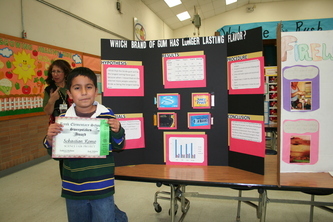 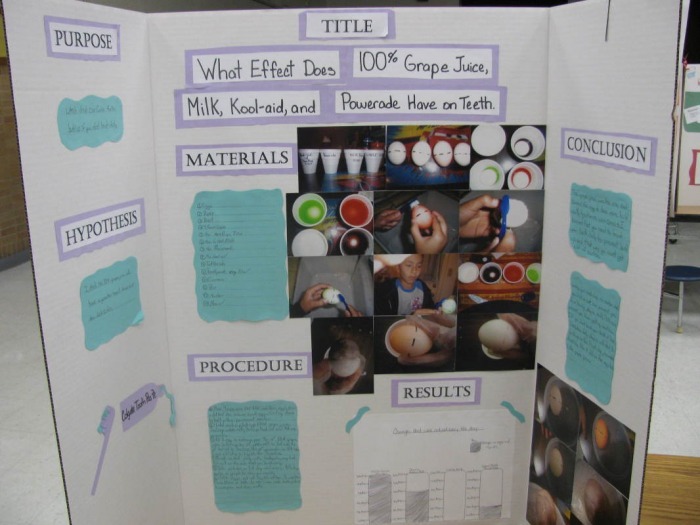 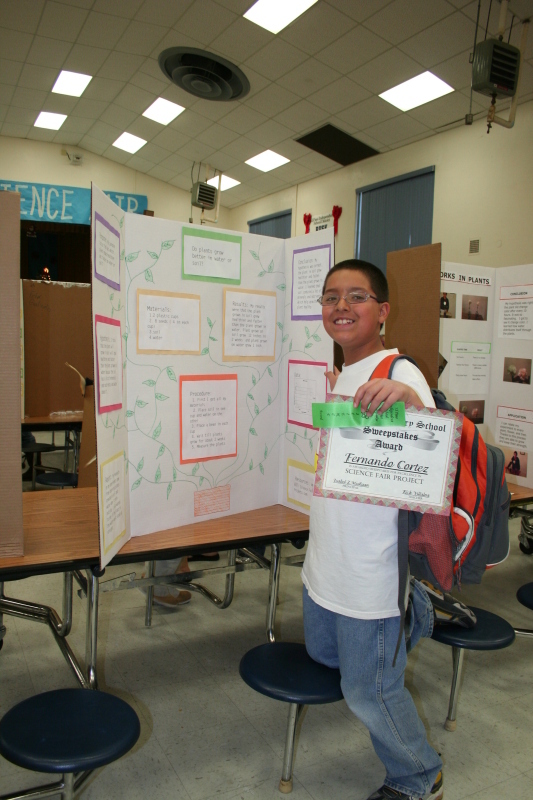 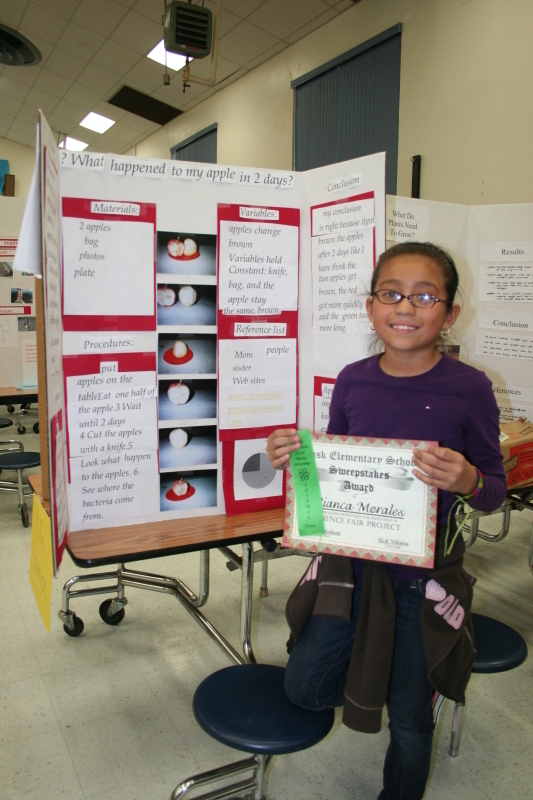 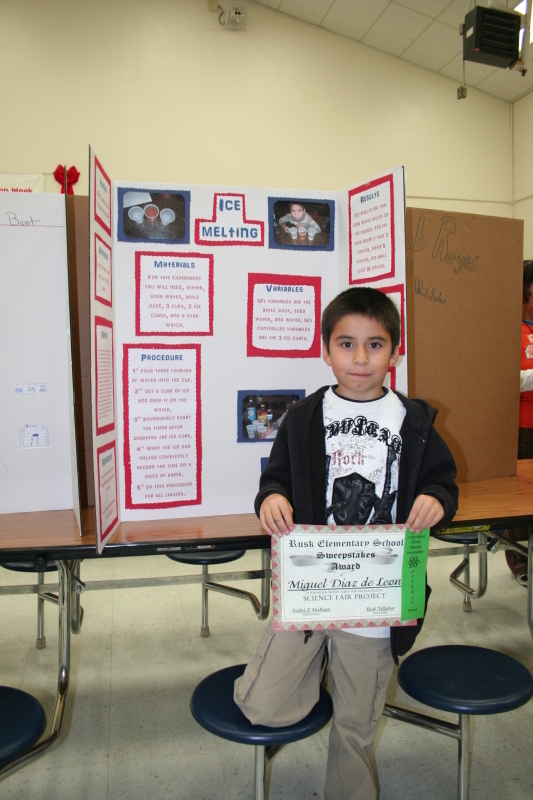 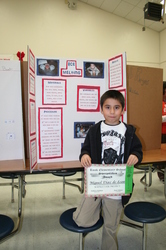 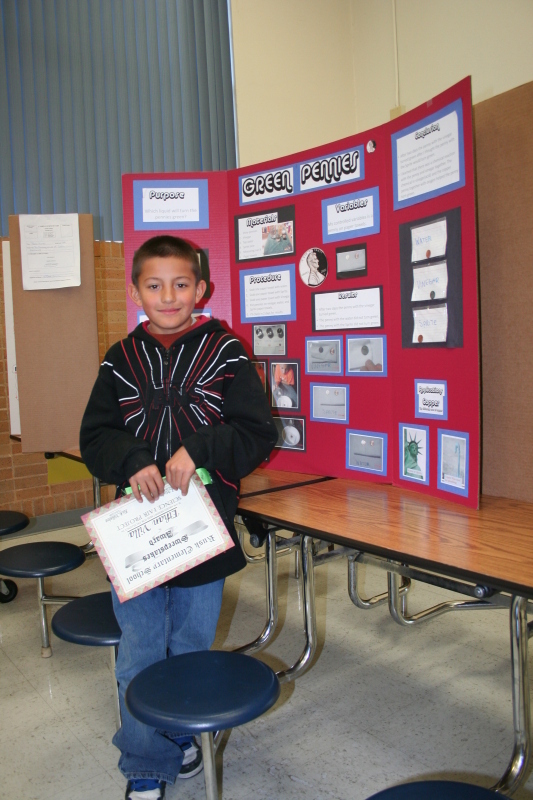 The Rusk Science Fair takes place in the month of May. 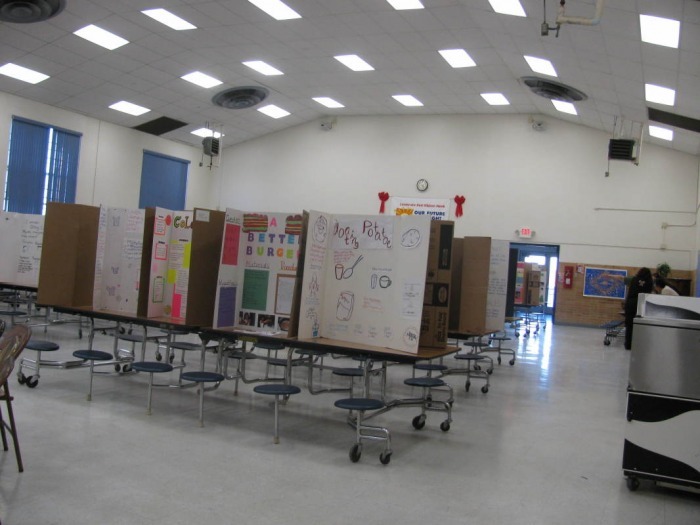 Many people come together to make our fair a success -- parents, staff, teachers, guest speakers, students and judges all help make the day a great experience for our students. 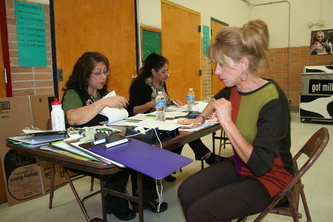 Thank you judges: Isabel Pena, Suzie Morales, Dianne Estrada, Marko Morales and Lion's Club members. 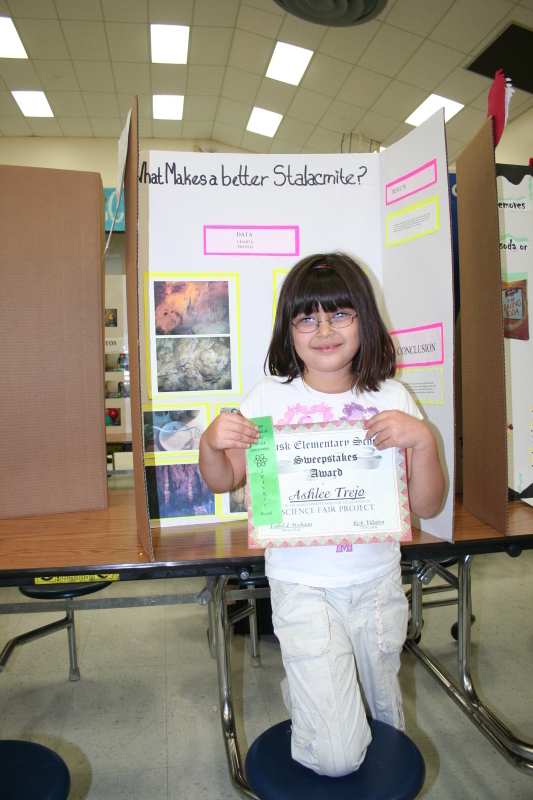 Lion's Club, Mr. Quintana, Mr. and Ms. Delgado, UTEP RISE Progam, Ms. Jane McFarland--Hueco Tanks State Park, Ms. Salas, Mr. Ibanez, Ms. Salazar, Ms. Stubbs, Ms. Meza and Ms. Dodds. 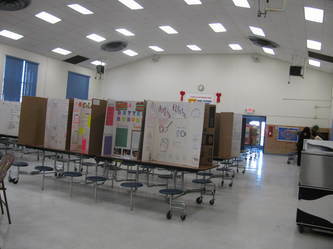 Thank you to all the teachers in our Science Fair Committee: Ms. Dominguez, Ms. Ontiveros, Mr. Estrada, Ms. Salas, Ms. Armijo, Ms. Gonzalez Ms. Mendoza (Chapin HS) and the custodial staff. Thank also to our administrators for their support: Papa John's Pizza, Ms. Mishaan and Ms. Minjarez. 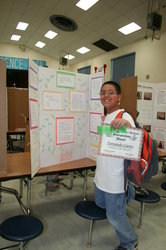 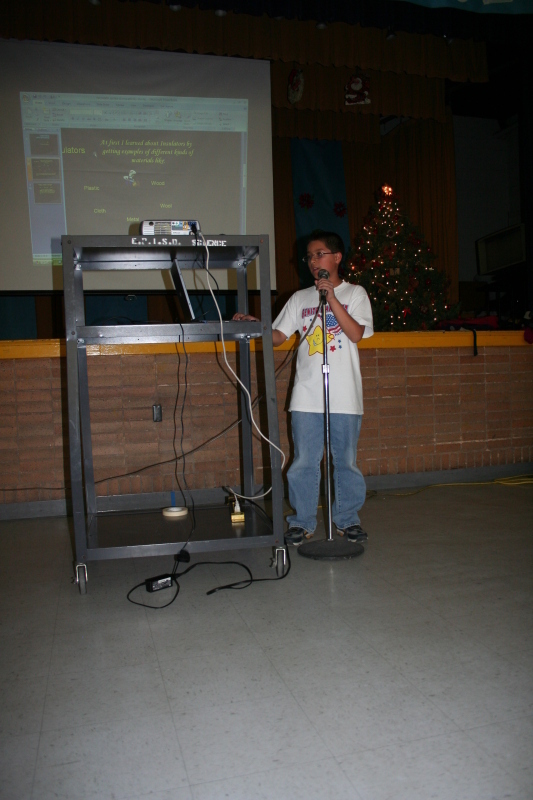 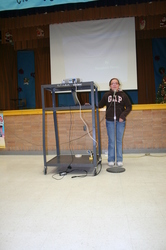 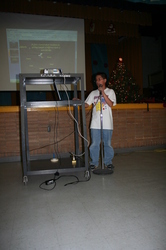 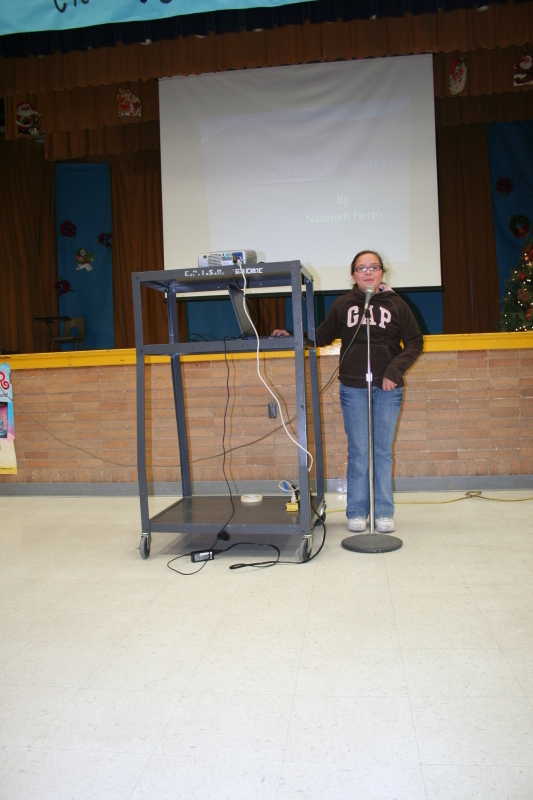 Winners from the school Science Fair were able to compete in the District Science Fair held On February 13, 2009 at UTEP's Memorial Gym! 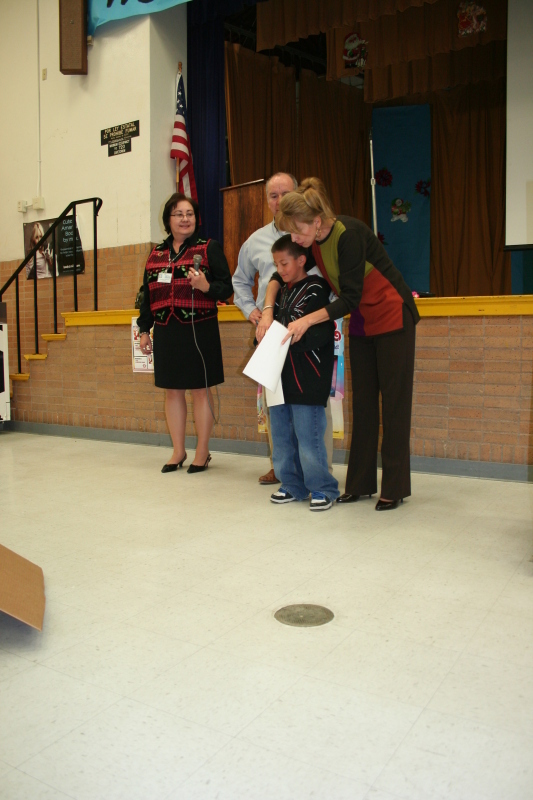 Teachers: thank you for your help, cooperation and guidance!